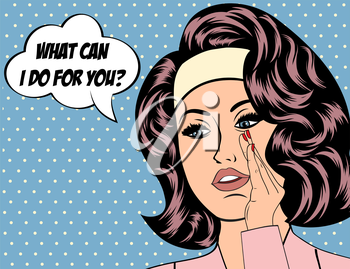 Pop Art illustration of girl with the speech bubble. Pop Art girl. Vintage advertising poster. Fashion woman with speech bubble.